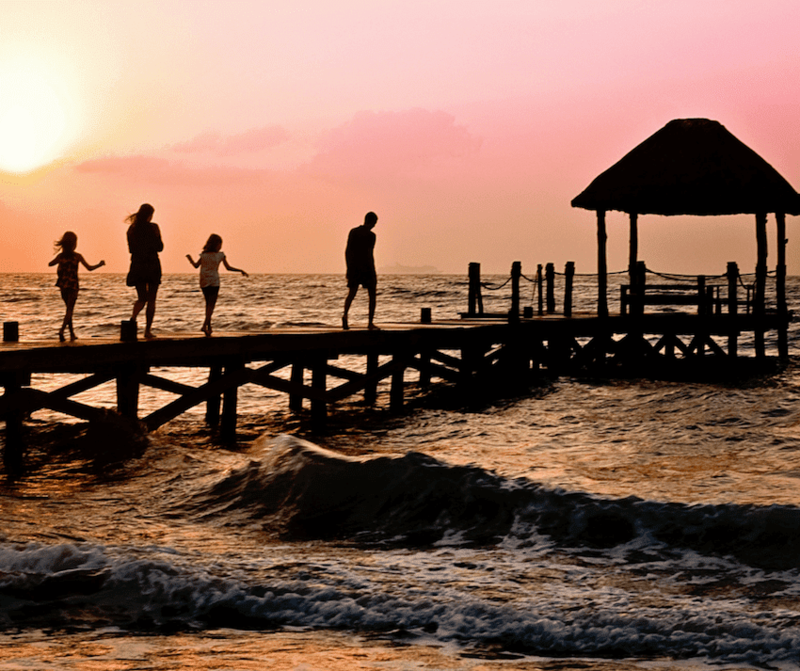 A family vacation is a time to get away with the kids and your partner to relax, recharge, and spend time together to create lifelong memories. 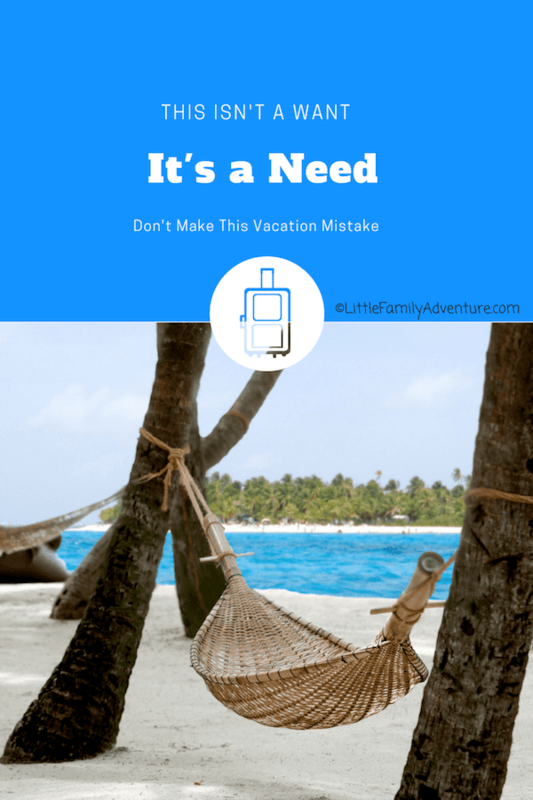 As a mom and our family’s chief vacation planner, I do my best to ensure that those things happen, but there are times when taking family vacation just leaves me exhausted. Do you know what I mean? I can’t tell you how many times I’ve packed our travel itineraries so full that by the end everyone is tired, irritable, and the memories we created aren’t always good. Many times, I have returned home and felt that I needed a vacation FROM my vacation. Turns out many families feel this same way. Alamo Rent A Car conducts an annual family travel survey on vacation trends, insights, and practices. This year, one of the key findings was that parents felt they needed to recover from their vacation. That’s me!! 85% of families say they felt they sometimes needed additional time to “recover” after a vacation. 93% of moms have felt the need for additional time off to recover from family vacation. Moms are slightly more likely than dads to say they’d use this time off to do chores. 88% of dads said they needed additional time off to recover from family vacation. 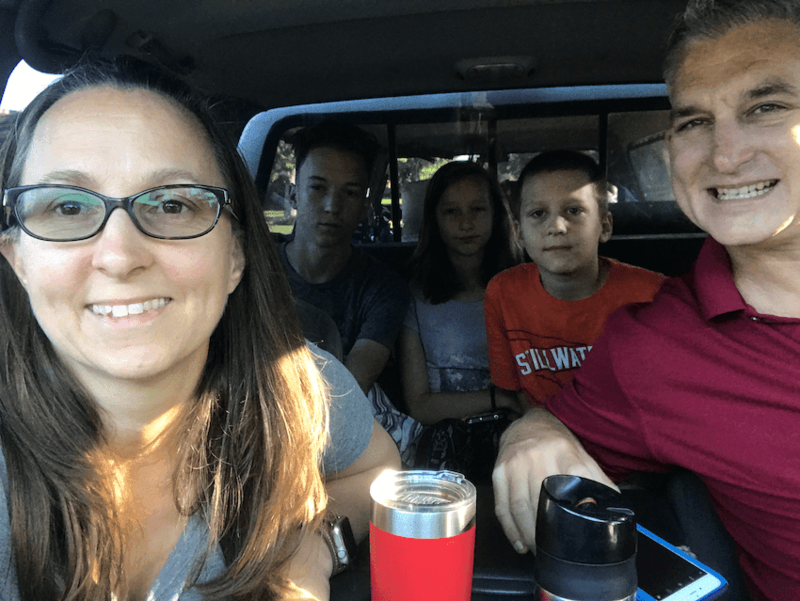 Why do we, moms, need to “recover” from a family vacation? That’s a great question! Are we over-scheduling our trips? Not taking enough days? Not planning for post trip adjustment, jet lag, etc.? Last summer’s month long road trip taught me a very valuable lesson. I forget to schedule down time. Let me tell you a little story about an exhausting family trip. Last summer, we took a 30 day road trip through 7 states, 15 destinations, and 8 state/national parks. This trip had been a bucket list trip for years. So I wanted to maximize my trip with as many experiences as possible and get the most “bang for my buck”. I packed our travel schedule with sites, restaurants, photos I wanted to take, and activities at every town, state, and national park. After a week of dragging the family through 3 states and 5 destinations, we had all had enough. The kids were irritable, my husband and I were road weary, and everyone was exhausted. If we didn’t have to be in Utah a week later, we may have actually cancelled the rest of that trip and headed home. It was really bad! Notice the kids in the background. We ended up cancelling all the planned activities and took three days to be spontaneous. At the time, we happened to be in Grand Teton National Park in Wyoming. You couldn’t ask for a more beautiful place to do “nothing”. It was the MOST relaxing three days of our trip. We walked around Jenny Lake, relaxed at our campsite, spent a little time on the camp store’s free wifi, and just relaxed. Since that trip, I ensure that we schedule time to do nothing, lounge by the pool, or just explore. I’ve also found that our magic day number is 4. A 4 day extended weekend trip is the most relaxing for our family. We don’t feel like we have to scramble to see everything we want to see. We’ll plan on down time one morning and then an afternoon on separate days. That way we can recharge and actually relax a bit. The rest of the time is planned out with activities, sites, and attractions. If you feel you need to recover from your family vacation, try scheduling more down time. I learned the hard way that a vacation doesn’t have to be jam packed with “stuff” to be memorable. You may actually find an exhausting vacation to be memorable for all the wrong reasons! Learn from my mistake and try it for yourself. Be sure to check out the other survey findings from the 2018 Alamo Rent A Car Family Vacation Survey. Then head to the Scenic Route for ideas and tips on your next family vacation destination. Sometimes we really push through vacays Nicky to get ’em done versus enjoying ’em LOL. Just me and my wife here on the South Island of New Zealand. Most gorgeous place on earth. By far, and 18 things to do daily, all jaw-dropping. But as I spend serious time growing my blogging business, promoting my eBooks, and taking care of pigs, chickens, 3 dogs, 4 cats, fish, frogs and still trying to do tourist stuff, feeling tuckered out. Scheduling more down time, or me time, going forward. Thanks for the reminder! Down time is something I started to learn when traveling as a family. Sometimes it’s just best if everyone could just hang out at the hotel and roll around on the bed.